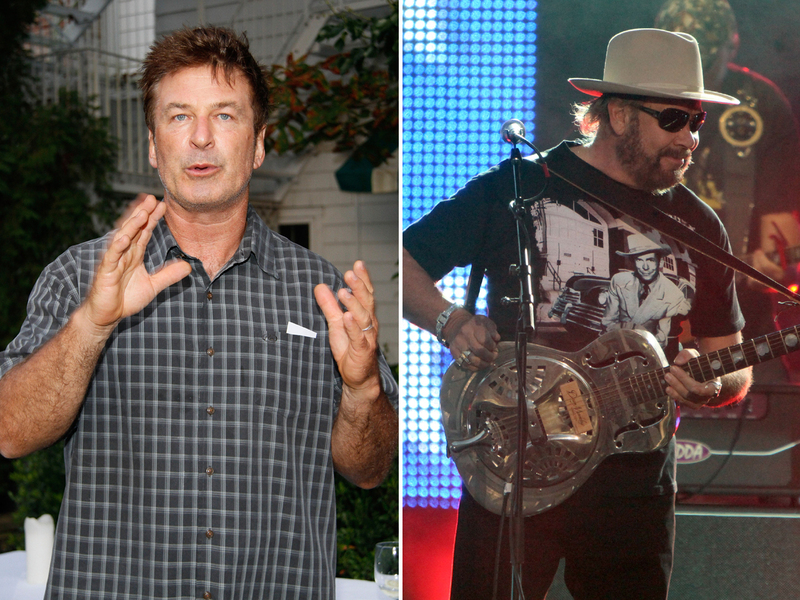 (CBS News) Alec Baldwin took to Twitter this week to share some choice words about country singer Hank Williams Jr. The "30 Rock" star's comments came after Williams slammed President Barack Obama during a performance last month at the Iowa State Fair, reportedly telling the crowd, "We've got a Muslim president who hates farming, hates the military, hates the U.S. and we hate him!" If Hank Williams Jr wasn't such a pathetic, wheezing fossil, I'd have a talk with him. I think we need to call Hank Williams Jr what he is....A broken-down, senile, racist coot. If Obama was white, he'd be up by 17 points. Certainly things could b better w this economy. But this admin'tion saved it from going off a cliff. What prevents some from seeing that? As of Wednesday morning, Williams has not responded on his own Twitter account. Williams is no stranger to speaking out against the president. Last October, ESPN pulled his song from the intro to "Monday Night Football" after the singer compared Mr. Obama to Hitler during an appearance on the Fox News show "Fox and Friends." In July, he told Rolling Stone that the president "hates America in the first place, forget about the flag." Williams' latest album, "Old School, New Rules," also features several tracks that contain jabs against Mr. Obama.